How often should I water my Florida lawn? Watering a lawn is one aspect of lawn care that’s normally left up to a homeowner to regulate as most system’s must be turned on inside. Although with access to your irrigation clock your lawn care professional can set water times for the appropriate season. If you’re taking the job on yourself then here are a few tips on watering your own lawn. It is possible to overwater! If you overwater your lawn it can lead to greater vulnerability to weeds, disease, insects and other problems. The only way to ensure you don’t overwater is to turn your irrigation system OFF and only operate it when your lawn needs water. How do you know when your lawn needs water? Look for these signs : folding leaf blades, blueish gray color, and when footprints begin to remain visible. The amount of water your grass needs is based on many factors including: the type of grass, the time of year and the shade of the grass. Your yard will require more water in dry months than in wet months when your lawn gets free rain water. 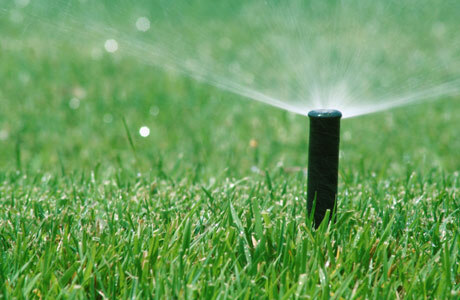 On average you need to apply 1/2- 3/4 inch of water each time you turn your irrigation system on. In many areas of Florida, water is regulated by the Water Management Districts. This further restricts the amount of control you have over watering your yard as you are only able to water your lawn as much as they allow. Check with your district to find out the restrictions. As long as you keep an eye on your lawn and don’t overwater you should have no problem maintaining a healthy yard. And remember if you have any irrigation questions feel free to ask your lawn care professional! Older PostWhy should I hire a lawn care company instead of doing it myself?